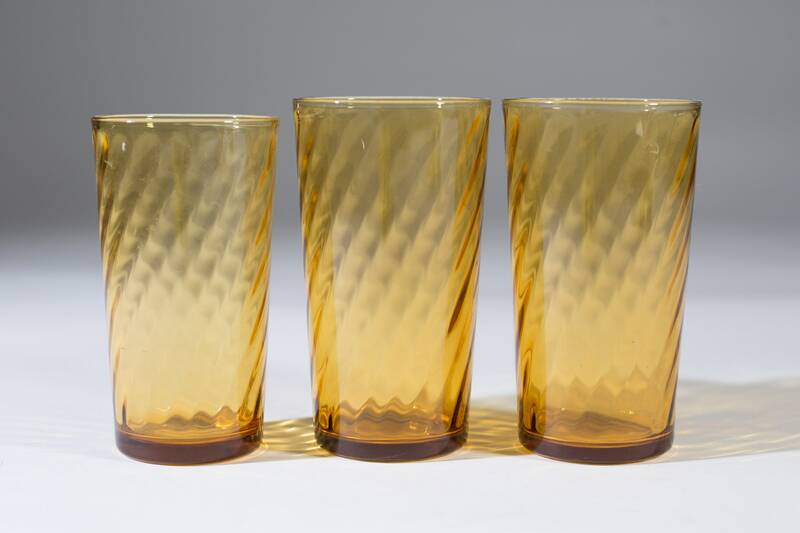 This is a fantastic set of 3 vintage amber colored tumbler glasses with a textured criss cross pattern. 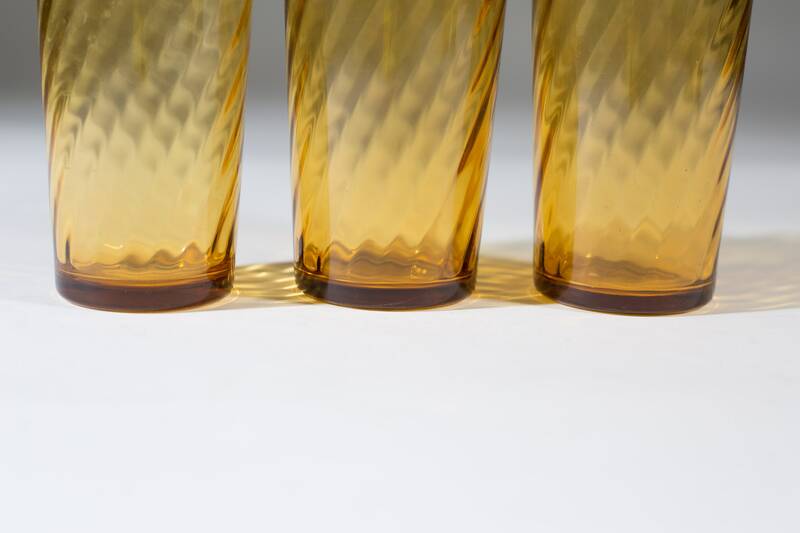 One of the glasses is slightly shorter than the others. 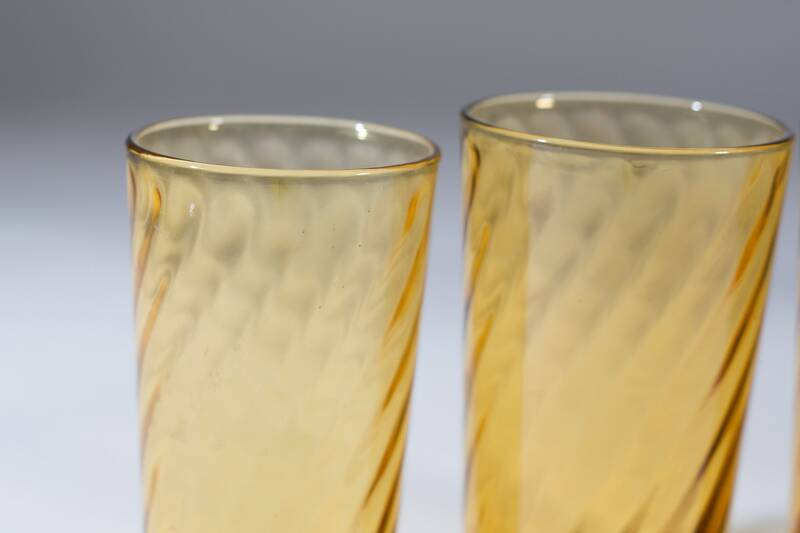 The last photo in the set shows the other pairs of glasses we might have available in separate listings. Height: 5 inches and 4.75 inches.